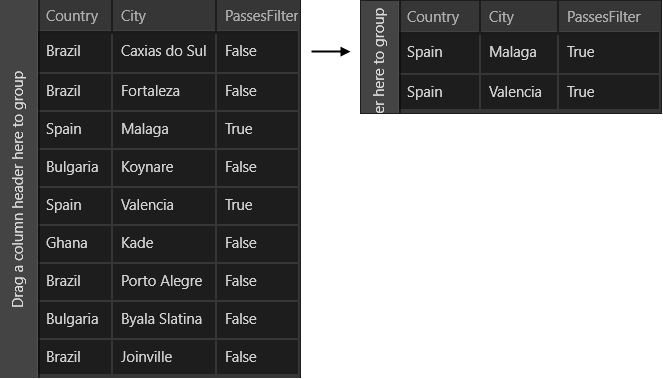 BooleanFilterDescriptor is a Descriptor which filters by property of System.Boolean data type. PropertyName: Gets or sets the name of the property that is used to retrieve the value to filter by. Value: Gets or sets the value used in the comparisons. This is the right operand of the comparison.